Oscar Buildings is equipped with a CNC roll forming machine capable of producing made to measure, engineered, lightweight steel wall frames and roof trusses. All our frames are made using high tensile G550 steel and are assembled using Hi Gauge stainless steel rivets. 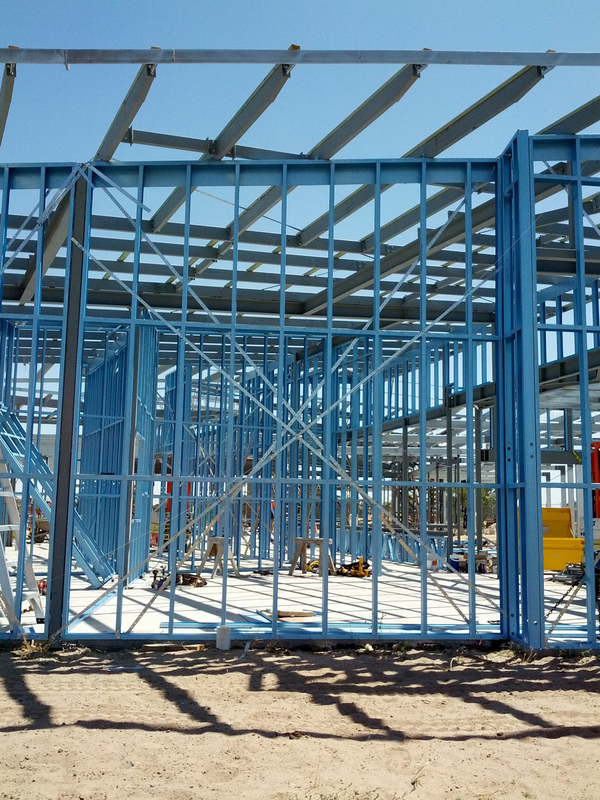 Our wall systems can be delivered in assembled panels and trusses, or as unassembled members all cut to length with pre-punched rivet and service holes.